Mark Horner is a Fellow at the Shuttleworth Foundation. The model of the Foundation is unusual: we identify interesting change agents, like Mark, who are articulating powerful ideas that seem like the offer a hint of the future, and we fund them to work on those for a year. We also offer them an investment multiplier: if they put their personal money into a project, we multiply that by 10x or more, up to a maximum amount. In short, find good people, back them when they put skin in the game. Mark’s specialty is open content for education: figuring out how to produce textbooks collaboratively. He’s done amazing work in the past, independently, leading an initiative to produce free high school science textbooks, and has lead the acquisition of a full set of textbooks in SA and their publication under an open content licence by the Foundation. Today, he’s been presented with a really awesome opportunity: provide open content to all of SA, with full backing from the department of education. That’s a huge step forward, putting open content much more at the center of mainstream thinking. In part, this is precipitated by a crisis, the strike action that is affecting many public services like education in South Africa. But it’s nevertheless a valuable opportunity to show how open content can change the dynamic of the rigid world of education. All that is required is another edit of the Free High School Science Texts before they will release them to all the schools in South Africa. We have ONE WEEK to complete this process and desperately need volunteers who have post-graduate degrees in Maths, Physics, Chemistry or related fields that can help out. So, if you’re inclined, he has details on how to help. For the moment, looks like participation requires being present in Cape Town, but perhaps he has a solution for that too. What will it be? A Naiant Nailtail would make a fine coat of arms, but we’re not really in the business of arms. Most of our businesses have legs. Most, I say. We could hedge our bets and go with the Neutral Newt, but it’s placing bets and seeing them through that raises the game for the free software desktop, and now’s a time of great change and invention, not a time for fence-sitting. I’ve been procrastinating. The N-evitable nature of our cadence means that calls for something nicer than “Maverick+1” are increasingly noticeable. Naively, I always assume that the answer will leap off the page. Instead, what leaps off the page is a gazillion permutations and combinations of nubile, naughty, naiad and nymph. Moving swiftly onward I linger on the possibilities of the Numbat. Nah. There’s no doubt Fourecks can be a rich source of inspiration, now’s not the time to celebrate Van Diemen’s Land, we’ve better plans for that. And speaking of Fourecks, the Nobby Noctule sounds like something dreamed up by Terry Pratchett, perhaps a fitting way to move beyond Adam’s 10.10.10, but it really is hard to sing the praises of a bat. Especially one with (k)nobs. As you can imagine, after a few weeks with a dictionary and colouring in book of animals, I could draw this out N-definitely. The problem is NP-complete, which I’m now reliably informed by the good folks at HP means it’s provably quite difficult and not something that can be delegated to chips of the non-quantum kind. My chips are most definitely non-quantum though my bugs, strangely, are. Where did that leave us? Well, let’s look at what we want to get done. We have this whole design thing in full flow, which is making Ubuntu sleeker and more stylish, as well as making it smoother for those who just want to get stuff done. We’ll make the N release the best-dressed ever. But classy covers don’t equate to good reads – we want style and substance to meet and get along famously. Once Maverick is out the door we’ll be turning our attention to making the most of the amazing capabilities of modern graphics hardware, both for outer beauty and for inner efficiency. There’s a lot more to GL than glitz and glamour, though we won’t say no to either. We’re also putting a lot of work into chips and architectures (admittedly, not yet of the quantum sort) that keep cool, and help keep the planet cool in the process. So it would be nice to have a codename which reflects that goodness. Some sort of mascot for a cool planet would do the trick. While it may not in fact get you a pony, the world of free software is the platform upon which the future is being built. So the Narwhal, as the closest thing to a real live unicorn, is an auspicious figurehead as we lay down the fabric from which dreams will be woven. Dreams of someone’s first PC, dreams of someone’s first million instances in the cloud: whatever your vision of the future, we hope the Natty Narwhal will have something to offer. Test your gems against that unicorn – some will be glass, others of value. Perhaps the unicorn will bring you Luck, perhaps a cure for poisons proprietary. One thing is certain: we’ll be building it together with thousands of the most generous, insightful, fun people on the planet – not only those in the Ubuntu community, but those who participate in the whole of the free software ecosystem, from a2jmidid to zzliplib, with Debian (happy Birthday!, now longer in the tooth, wiser, but as potent and principled as ever) a special partner. I’m looking forward to the ride, and the result! Multitouch is just as useful on a desktop as it is on a phone or tablet, so I’m delighted that the first cut of Canonical’s UTouch framework has landed in Maverick and will be there for its release on 10.10.10. You’ll need 4-finger touch or better to get the most out of it, and we’re currently targeting the Dell XT2 as a development environment so the lucky folks with that machine will get the best results today. By release, we expect you’ll be able to use it with a range of devices from major manufacturers, and with addons like Apple’s Magic Trackpad. The new underlying code is published on Launchpad under the GPLv3 and LGPLv3, and of course there are quite a lot of modules for things like X and Gtk which may be under licenses preferred by those projects. There’s a PPA if you’re interested in tracking the cutting edge, or just branch / push/ merge on LP if you want to make it better. Details in the official developer announcement. The bits depend on Peter Hutterer’s recently published update to the X input protocols related to multi-touch, and add gesture processing and gesture event delivery. I’d like to thank Duncan McGreggor for his leadership of the team which implemented this design, and of course all the folks who have worked on it so far: Henrik Rydberg, Rafi Rubin, Chase Douglas, Stephen Webb at the heart of it, and many others who have expanded on their efforts. 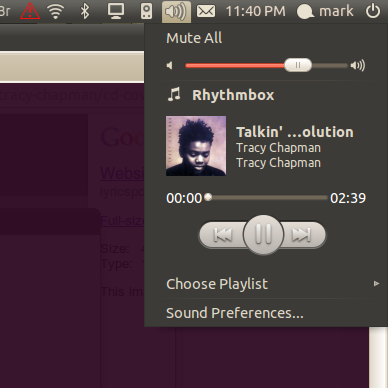 In Maverick, quite a few Gtk applications will support gesture-based scrolling. We’ll enhance Evince to show some of the richer interactions that developers might want to add to their apps. Window management will be gesture-enabled in Unity, so 10.10 Netbook Edition users with touch screens or multi-touch pads will have sophisticated window management at their fingertips. Install Unity on your desktop for a taste of it, just apt-get install ubuntu-netbook and choose the appropriate session at login. The roadmap beyond 10.10 will flesh out the app developer API and provide system services related to gesture processing and touch. It would be awesome to have touch-aware versions of all the major apps – browser, email, file management, chat, photo management and media playback – for 11.04, but that depends on you! So if you are interested in this, let’s work up some branches 🙂 Here’s the official Canonical blog post, too. Greg, thank you for your sincere and gracious apology. When one cares deeply about something, criticism hurts so much more. And the free software world is loaded with caring, which is why our differences can so easily become vitriolic. All of us that work on free software share the belief that our work has meaning far beyond the actual technology we produce. We are working to achieve goals that transcend the merits of the specific products we build: putting software freedom on a firm economic footing means that it can realistically become the de facto standard way that the software world works, carried forward by powerful forces of investment and return and less dependent on what feels like the heroic efforts of relatively few software outsiders swimming against the tide. Red Hat’s success in proving a viable business model around a distribution was a very significant milestone in that quest, for all of us. I don’t mean to diminish that achievement when I point out that it’s come at the cost of dividing the world into those that buy RHEL, and those that can’t or won’t. Red Hat’s success is well deserved, and our work at Canonical is not in any sense motivated by desire to take that away. Red Hat is here to stay, there will always be a market for the product, and as a result, we all have the reassurance that our contributions can find a sustainable path into the hands of at least part of the world’s population. Canonical’s mission is to expand the options, to find out if it’s possible to have a sustainable platform without that dividing line. We know that our quest would not be possible without your pioneering, but we don’t feel that’s riding on anybody’s coat-tails. We feel we have to break new ground, do new things, add new ingredients, and all of that is a substantial contribution in turn. But we don’t do it because we think Red Hat is “wrong”, and we don’t expect it to take anything away from Red Hat at all. We do it to add to the options, not to replace them. We should start every discussion in free software with a mutual reminder of the fact that we have far more in common than we have differences, that individual successes enrich all of us far more in our open commons-based economy than they would in a traditional proprietary one, that it’s better for us to find a way to encourage others to continue to participate even if they aren’t necessarily chasing exactly the same bugs that we are, than to chastise them for thinking differently. On that note, let’s shake hands.